Principia is a leading research and consulting firm focused exclusively on the building materials and construction industry. For over 20 years, senior executives have trusted Principia for information, analytics and insights essential for better decision-making, faster growth, and greater profitability. We had the privilege of working with the Principia team to develop a new website to showcase their data tools and impressive industry reports. We worked to create an interactive experience for searching reports, integrated the powerful HubSpot platform, and designed custom icons and infographics for communicating information. In addition to the website, we designed a new logo along with a suite of new branding collateral including a PowerPoint template, brochure template, and new business cards. While the focus of our work is certainly public-facing websites, our strategically focused process allows us to easily shift our perspective to develop a private-facing website as well. The influential social alliance group, International Copper Association, came to us in hopes of improving their internal communications through an intranet that allowed them to share documents, data, and media easily and intuitively. 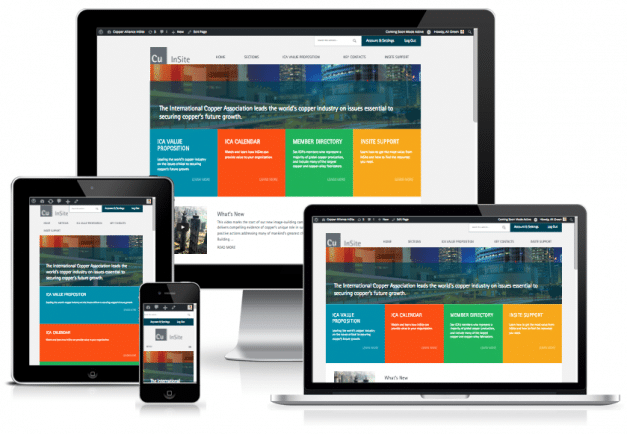 In response, we branded the new platform “Copper InSite” and developed a beautiful interface for use by the association. The platform provides both public-facing and member-only information on a mobile responsive, WordPress platform. We hope ICA members realize significant value from this intranet for years to come. With 18 years of experience building custom decks, fences, hardscape and masonry, it was time for Michael Pelfrey to establish a brand and web presence for his outdoor services company. 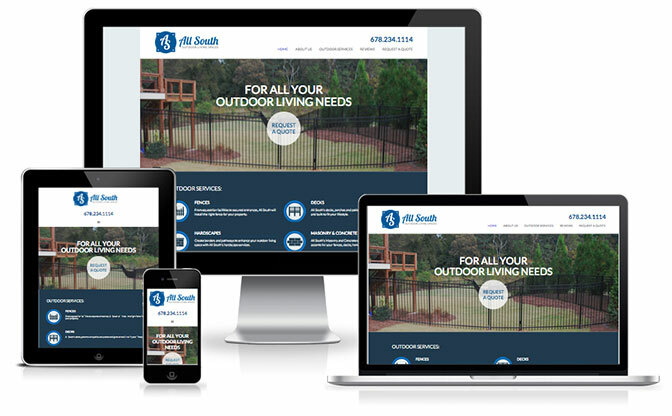 GreenMellen worked closely with Michael to create a new logo and subsequently create a website for All South Outdoor. The goal of the project was to create a cohesive brand throughout the website while highlighting All South’s four major services. The end result does just this while featuring Pelfrey’s handwork on each services page. Gilmer County is a very special area in North Georgia that offers more than just breathtaking views of the Blue Ridge Mountains. In fact, Gilmer County is best known for its amazing apple orchards, southern hospitality, and charming downtown square. When the Gilmer Chamber came to us looking for a refresh to their brand along with a new website showcasing all Gilmer has to offer, we were beyond thrilled. Along with a new logo that exudes the colorful spirit of Gilmer County, GreenMellen created a mobile responsive website equipped with the tools necessary to share all that is Gilmer. Of these tools is ChamberMaster, the platform the Chamber uses to fuel the organization’s membership database. 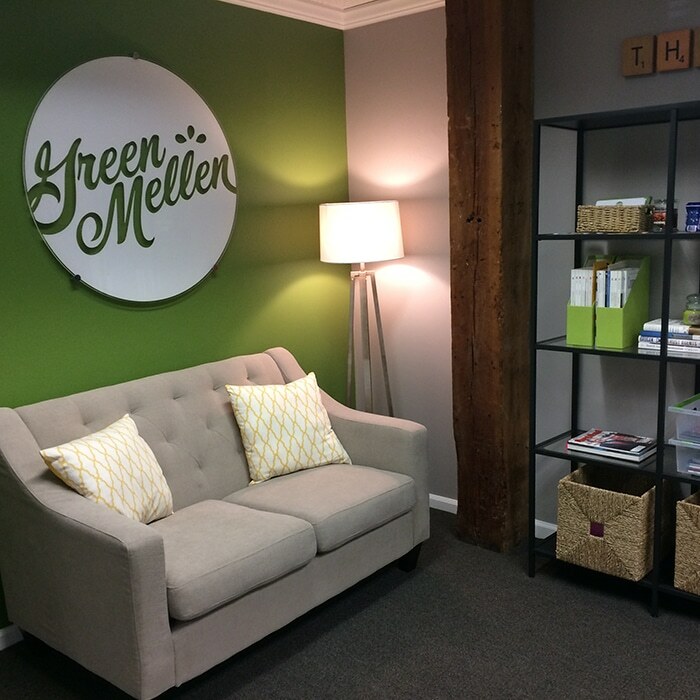 While integration of a powerful third-party tool is not always seamless, GreenMellen successfully blended the platform into the new website to ensure the Chamber leadership can use the functionality to its full potential. Tracy and Gary of TimberLink advise their clients on strategies for building and managing portfolios for those with a special interest in timber. 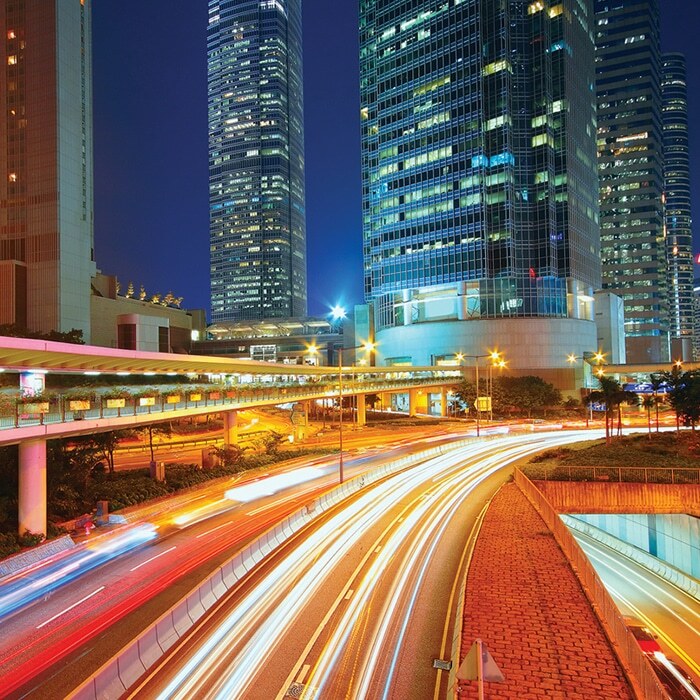 Their customized and exclusive service offering places them in a unique sector that appeals to high profile clients with an interest for niche investments and technical expertise. 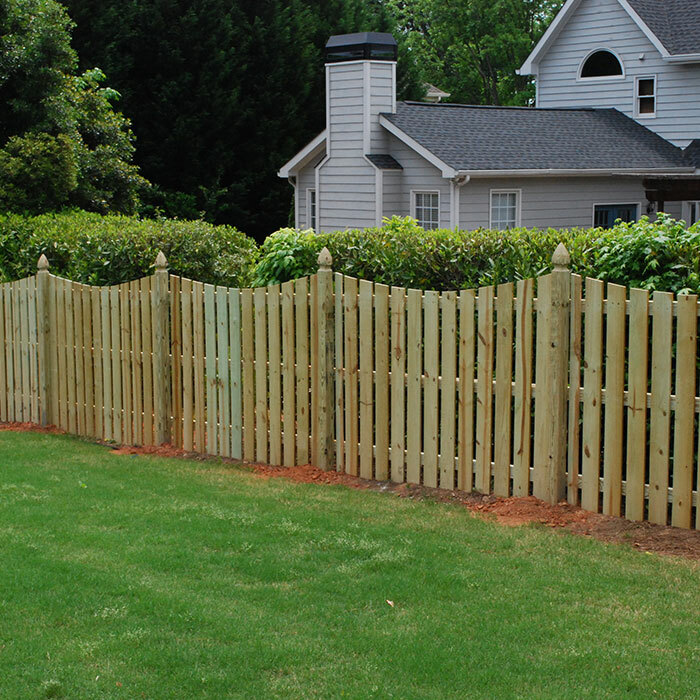 The prior TimberLink website was dated and in need of a visual update that gave them a reputable and experienced brand presence. The goal was not to overhaul the brand, but to keep the previous look recognizable yet updated. GreenMellen, in turn, worked closely with Tracy and Gary to develop new content for their site that better explains their experience, knowledge, and customized service offerings. 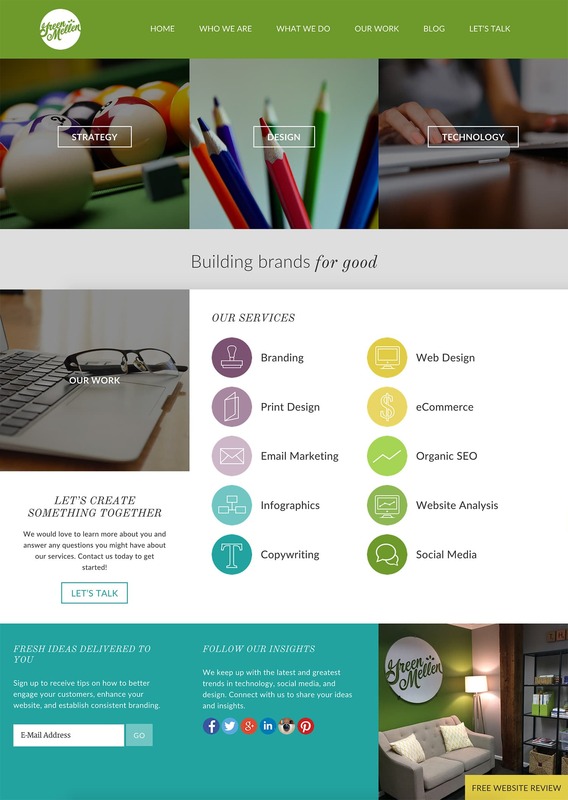 The overall look and feel of the new site uses imagery and colors that appeals to their professional clientele. Timberland investments requires highly technical expertise and TimberLink now has a professional new website to highlight their expertise.